Harare - During his heydays, soccer legend George Shaya aka the Mastermind collected and dribbled past opponents at will. A short playing sting at Moroka Swallows in 1975 was cut short after the player packed his bags, claiming he was homesick. Years after retirement, the glory has gone. Now almost gory stories haunt the former football maestro. “He just screamed and I thought something had bitten him but he thought it was cramp. Since then it’s been getting worse. “They are suspecting that it might be deep vein thrombosis. But he needs to go for the X-ray first,” Egnes, his wife revealed. 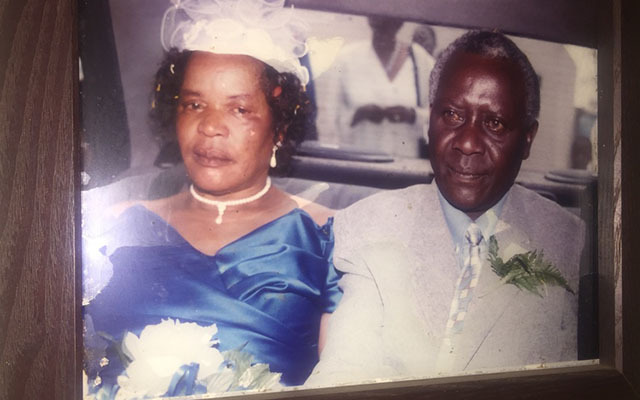 Shaya was diagnosed with dementia in 2014 which basically tempers with his memory such that he may fail to remember certain details about his life. But despite suffering from the ailment, Shaya still smokes and drinks which is said to be aggravating his condition. “He is supposed to go for an X-ray and the doctor spoke of radiotherapy. He suggested he goes for the X-ray first then they will see what the problem is. “As soon as I get the money I have to do it and as soonest, especially when the legs have started swelling. “I am not safe because I don’t know what it is. I started noticing the swelling two days ago. He is struggling to walk,” Egnes addade, saying they need US$130 for a specialist doctor. Shaya was born in Salisbury on Christmas eve in 1948 where he grew up along with other young boys of his age playing soccer using a homemade football. His football career really began when he moved to Saint Paul's High School in Murehwa. While at Saint Paul's, the young Shaya played for the school in the super league and the school team was at that time being coached by Father Edward Davies. Shaya eventually joined Dynamos Football Club at the age of sixteen, a club that he would later go on to manage. The "Mastermind" had a very colourful career with the glamour boys which saw Shaya being crowned Soccer Star of the Year a record five times, an achievement yet to be replicated. He has often been described as a midfield genius of his day whose moves and dribbling ability could carve open any defence, which inevitably earned him the nickname "mastermind".